This Eurosmart tap has a solid metal single lever that feels solid and intuitive in your hand. The GROHE SilkMove cartridge lets you vary water temperature and flow with ease and precision. For peace of mind, the built-in temperature limiter and a non-return valve will help transform your shower into a calming interlude. 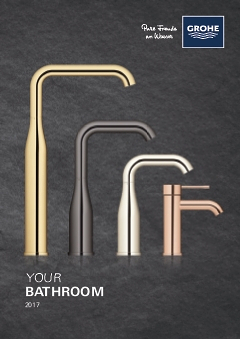 Presented in long-lasting GROHE StarLight chrome, this tap will be a dazzling focal point in your bathroom as well as being effortless to maintain.